Last night I went to Chapters to look at both cookbooks, I wanted to see what the recipes were, if there were unusual ingredients that would be difficult to find, and overall if its food I would actually enjoy eating. I really want to say it was a hard decision to make, but lo and behold, the store only had one of the cookbooks at that location, Jamie’s Comfort Food. 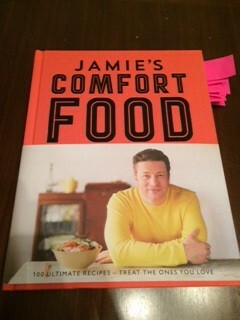 To be honest, after looking through the one cookbook they did have, I was sold! Everything looks delicious, and I will be making dishes I would never make, dishes from all over the world. Curries, Pho, fresh pasta, fried chicken, Chinese dumplings…. I think its going to be a good year, and I really don’t think the man will be opposed to it! My best friend came over later yesterday evening and she’s already marked down which recipes she wants to be present for. Note: she’s selected the whole “drinks” and “dessert” sections! well, it’s been decided – starting February 1, 2015, Meeesh’s Cookbook Challenge will begin! 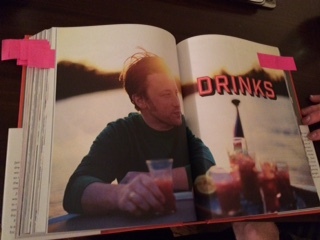 …now what recipe should I start with….